Kimi Raikkonen's hopes of getting his Formula 1 world championship challenge back on track at the British Grand Prix have been boosted with Lotus planning to run its biggest upgrade of the year. The Finn has lost ground to points leader Sebastian Vettel in recent races, and a collision with Sergio Perez in Monaco plus disappointing form in Canada have proven extremely costly. Raikkonen and Lotus are convinced that the return to high-speed tracks like Silverstone will help the team rediscover its form and a major upgrade package is also arriving. Speaking about the developments, Lotus track operations director Alan Permane said: "We have a tighter, figure-hugging bodywork package which should give some benefit; especially if the weather is quite cool at Silverstone. "There's a new front wing, suspension profiles and suspension upgrades in addition to various other aero upgrades, which combine to give us what should be our biggest step forward of the year. "This is a good thing, of course, but we'll be running them in the context of all our rivals probably unveiling significant upgrade packs too." 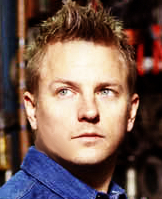 Raikkonen himself sees no reason why Lotus cannot head to the British GP with a degree of optimism. "Silverstone is a more normal circuit and we've been OK at every other permanent circuit so far this year," he explained. "There's no reason why we shouldn't be back to the positions we should be with this package. We just have to be patient, do our very best over the entire weekend and step by step we can start catching the leaders." YOUR CHAMPIONSHIP POTENTIAL HAS TAKEN SOMETHING OF A HIT IN THE LAST TWO RACES; IS THIS A BIG CONCERN? Obviously, itâ€™s not been that great and we havenâ€™t got the results we wanted. The last couple of races have been more a question of surviving not attacking and thatâ€™s not what anyone wants. That said, Monaco and MontrÃ©al are both street circuits; theyâ€™re quite different from a lot of tracks we visit and there are quite a lot of variables. You never know how youâ€™re going to go at those two tracks but we do now and at least we got a few points. DOES RETURNING TO A PERMANENT RACE CIRCUIT BRING ANY POSITIVITY? Silverstone is a more normal circuit and weâ€™ve been okay at every other permanent circuit so far this year. Thereâ€™s no reason why we shouldnâ€™t be back to the positions we should be with this package. We just have to be patient, do our very best over the entire weekend and step by step we can start catching the leaders. HOW CHALLENGING IS SILVERSTONE AS A RACE TRACK? Silverstone is all about long sweeping high-speed corners and high downforce levels. Itâ€™s one of the fastest circuits on the calendar; itâ€™s very challenging and the flowing corners are pretty good fun to drive. Hopefully our new parts will help us; particularly in the faster corners. If thatâ€™s the case, it could be a good weekend. HAVE YOU ALWAYS LIKED SILVERSTONE? Yes, itâ€™s always such a good feeling going to Silverstone. Itâ€™s a great place to race and it has been a good circuit for me since the very beginning of my career. I have a long history there. It was the real base for the start of my international racing career in Formula Renault in 1999 and 2000. Since then I've always enjoyed racing at Silverstone. I donâ€™t know why; there must be this nostalgic feeling that I have every time we go there. YOU WON AT SILVERSTONE IN 2007 AND HAVE BEEN ON THE PODIUM FIVE TIMES ALTOGETHER; HOW DOES IT FEEL WHEN EVERYTHING GOES RIGHT THERE? When you win in Silverstone, it gives such a good feeling. You have to get everything exactly right. I won there in Formula Renault and then in Formula 1 with Ferrari in 2007. It would be fantastic to win again there, especially with the factory just down the road. Iâ€™m sure we would have some fantastic celebrations. WHAT ABOUT THE BRITISH SUMMER? Itâ€™s always windy at Silverstone. Often it rains too, like we saw last year in qualifying. The track conditions change very quickly, which makes the car more tricky to set-up. Obviously when you are running at the front itâ€™s best to have stable conditions, but I donâ€™t mind really. The weather is just a part of the fun of racing in England. Iâ€™ll enjoy the weekend whatever the weather will be. HOWâ€™S THE FEELING FROM THE TEAM? The team has worked 100% to have a really competitive car for the home race. Silverstone is the closest circuit to the factory so hopefully we can celebrate a good result with all of the factory personnel and their families who bring their support every year. What can you tell us about the ownership of the team? This week we have some very good news which is another step in the development of the team by Genii Capital. A 35% stake has been sold to Infinity Racing Partners, an organisation committed to furthering the teamâ€™s goals and supporting Genii Capitalâ€™s vision for the teamâ€™s future. The day to day running of the team here at Enstone remains unchanged but for the future, access to the global network of Infinity Racingâ€™s principal partners means there are major opportunities to secure high level sponsorships. Investors taking a stake in a team is common practice in Formula 1 and other sports, and Genii have been talking to potential partners for some time as they wanted to make sure that they would select the right one. Weâ€™re happy that a strong investor has been found to help bolster the teamâ€™s position and allow us to push for the future. MontrÃ©al was the second consecutive event where results fell short of expectations; are the team falling away from the front of the field? Certainly not. In Monaco it was clear we had the pace and potential to achieve good results. MontrÃ©al was a different story, a difficult weekend for us, and weâ€™ll take that on the chin. We struggled a little bit in Canada, but we have been able to identify clear reasons why this occurred. Weâ€™ve learnt some valuable lessons and drawn the line under the Canadian Grand Prix. We head to Silverstone with a determined strategy to be back fighting for podiums. Can the team maintain a championship push? Yes, and weâ€™re certainly not going to let two weekends of poor results stop us in our efforts. We have a very reasonable package to fit to the E21 for Silverstone â€“ with a number of elements which should help with our performance â€“ and we have plenty of other upgrades to come later in the season too. What are your thoughts on the latest tyre allocations? We trust Pirelliâ€™s judgement in these matters as they have all the data to analyse and listen to the concerns of all the teams; some of whom are very keen to see the tyres changed, some of whom are very keen to have the tyres left as they are. Letâ€™s see what happens in the next three races for which the allocations have been made and see how that impacts on future allocations. How do you rate the performance of both drivers in Canada? Kimi did a great job when you consider that he was suffering from a brake issue, and he continued his run of points finishes. Itâ€™s frustrating for him and itâ€™s frustrating for us that heâ€™s finished without a strong points haul in a second consecutive race, but we have everything in place for Silverstone to reverse that trend. For two of the last three races, Romainâ€™s performance has been masked. In Spain our calculations showed a podium was possible were it not for the component failure which led to him retiring, and in MontrÃ©al his performance of driving through the field was masked by us having to change our tyre strategy. Had we continued on a one-stop Romain would have finished strongly in the points. What do you make of Kimiâ€™s unbroken run of finishes and points scoring? Kimiâ€™s a points scoring machine and it will be nice if he sets a new record, even if he says heâ€™s not bothered by that sort of thing. Since his comeback with us he has been the most reliable driver on the grid for scoring points, and itâ€™s interesting to reflect back to the doubt some people had about his return to Formula 1. Heâ€™s had some bad luck in the last two races, but Iâ€™m sure the drivers heâ€™s competing with will also have some bad luck too. MontrÃ©al wasnâ€™t the weekend we wanted; what have we learnt from the experience? We struggled at a low energy circuit in both wet and dry conditions; that much is simple to say. Of course, as a team we go over the whole weekend and dissect every detail â€“ including things like procedures, car setup and so on â€“ to ensure we pick up on any area we may have missed out on and to identify if we could have done things better. Overall, it was very clear we were struggling for grip through the entire weekend in both wet and dry conditions. Romain put in some decent laps on Friday and ended both sessions in P3, but it was difficult to replicate that performance again. It looks like we werenâ€™t able to get the tyres into their performance window other than on Friday. If the team struggles with low energy circuits, is there a concern for the rest of the season? Fortunately there arenâ€™t any more really low energy circuits to come this season. Of the current venues we visit, MontrÃ©al, Monaco and Hockenheim can be viewed as low energy and weâ€™ve visited two of those already so far this year, with the third not being on the 2013 calendar. Iâ€™ll be surprised if we encounter the issues we did in MontrÃ©al again this season. What is needed from the car in Silverstone? Itâ€™s a circuit which is similar to Barcelona in the regard that it exposes weaknesses in downforce. You need an efficient car; one with a decent amount of downforce, but one which remains slippery for the straights. There are two straights where the cars exceed 300kph, so too much drag will hurt here. There are some very high speed corners, with the first sector of the lap consisting entirely of high speed turns. The new layout has brought a few more technical corners, but overall itâ€™s still counted as a high-speed track. You need to set up the car aerodynamically to be as quick as possible through the medium and high speed corners and along the straights. The circuit is windy with a scarcity of shelter which â€“ added to unpredictable weather â€“ makes set-up difficult at times. The wind can lead you to run with less than optimum levels of front wing to keep the car consistent. What upgrades are there for the car? We have a tighter, figure-hugging bodywork package which should give some benefit; especially if the weather is quite cool at Silverstone. Thereâ€™s a new front wing, suspension profiles and suspension upgrades in addition to various other aero upgrades, which combine to give us what should be our biggest step forward of the year. This is a good thing, of course, but weâ€™ll be running them in the context of all our rivals probably unveiling significant upgrade packs too. We conducted a couple of days of straight-line running after Canada with positive results and some of the fruits of this work should be seen in Silverstone. What do you make of the latest tyre allocations for the next three races? They certainly seem conservative and contrary to the supposed approach for the tyre allocations in 2013. The individual compounds â€“ supersoft, soft, medium and hard â€“ were made softer for each grade this year in order to present teams with a challenge, which is what we saw at some races earlier in the season. That work is undone if you simply allocate harder compounds for races, as weâ€™ve seen with those nominated for the next three rounds. Itâ€™s certainly unusual to take the same tyres to Hungary as to Bahrain and Silverstone. The situation is quite similar to last year when the allocations went harder late in the year and we just ended up doing one-stop races. Of course, there are teams who are eager for the tyres to be more durable; whether through changes to the tyres themselves or changes to the allocations for races. In contrast, weâ€™re firmly in the camp that the approach to tyre allocation should remain as agreed by the sport before the start of the season, and not be changed part-way through the year. Want to put your questions to Lotus F1 Team and its Business Consulting Partner Avanade on a special live edition of The Racerâ€™s Edge â€“ AND win signed Lotus F1 Team merchandise? Alan PermaneDuring British Grand Prix week, there will be three special episodes of The Racerâ€™s Edge, the first coming live from the Lotus F1 Team factory on Wednesday 26 June at 7pm. The showâ€™s host Peter Windsor will be joined by Alan Permane, Trackside Operations Director for Lotus F1 Team, and Julian Tomison, Senior Vice President, Service Lines UK of Avanade. Julian TomisonAlan joined Benetton in 1989, and was race engineer for Fisichella and Trulli, before becoming chief race engineer for Renault F1 Team and Lotus F1 Team, while Julian is responsible for developing Avanade IT Solutions to help Lotus F1 Team set-up, simulation, race strategy and data analysis. If youâ€™d like to know more about working with Kimi and Romain, why Avanade chose to partner Lotus F1 Team, or simply their views on the race ahead, then click here to ask a question. If yours is chosen, you could win some signed Lotus F1 Team merchandise. The Racerâ€™s Edge is broadcast live and completely free on the internet, simply subscribe to our YouTube channel. You can also download each episode from iTunes as audio or video files, or visit autosport.com to catch up with the latest episode. YiNing, have a great time with Kimi today! Found out yesterday that Kimi won't be at Lotus Store today unfortunately... only Grosjean and Valsecchi. Oh, to bad about Kimi not going. I really hope Lotus gets their act together for now on, Kimi really has a shot at the title.